Thanks for finding me! If you’ve landed on this page, then there’s a good chance that you’re looking for a professional voiceover artist for your corporate video narration. I’m a full time voiceover artist with a professional, acoustically treated, broadcast quality studio where I send out voiceovers all over the world. 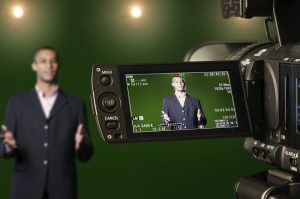 As well as voicing thousands of radio commercials and tv adverts, I’ve voiced documentaries for The Discovery Channel and The History Channel and hundreds of web, explainer and corporate videos for clients and companies of all sizes and sectors. Every company I work with is a unique brand and caters to a specific market, therefore no two clients are the same. Each organisation I work with will have it’s own brand and will therefore require a voiceover that is coherent with its audience. It’s vital that the tone of the voiceover is relatable, engaging and believable or the message that is intended to get across in a corporate video will be lost. As a full time voiceover artist one of the services I offer is to work with my clients to ensure that they are happy with the style, tone and delivery of their voiceover. Whether you require a professional, formal delivery, or a more relaxed, casual and friendly tone, I’ll be happy to adjust my read to suit your needs. If you need a soft sell, animated and upbeat delivery or perhaps a character voice, we can work together and try different styles that match the feel of your video. Below are a few examples of videos I’ve narrated for clients in differing sectors. Thanks for taking the time find out about my voiceover services and I look forward to hearing from to discuss your needs. Please do get in touch and I’ll get back to you to discuss what you require.